If you have your heart set on a 2018 Toyota Mirai, lease it rather than buying outright to hedge your bets. The 2018 Toyota Mirai, according to its maker, is the future of cars; we strongly suggest waiting to see whether the future is powered by hydrogen or electricity. The 2018 Toyota Mirai is a four-seat mid-size four-door sedan powered entirely by hydrogen, making it the company’s only full zero-emission vehicle. It’s sold only in areas of California where hydrogen fueling stations exist (about three dozen as of January 2018), so it’s limited to travel within the radius of that network. 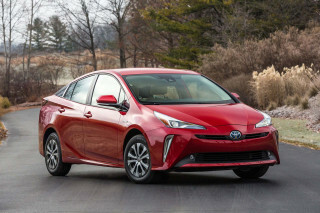 The Mirai is available only in a single trim level, with few options. The Mirai scores lower than all its competitors, including the Honda Clarity Fuel Cell, which is simply a nicer, more capacious, better-performing, and longer-range hydrogen vehicle. 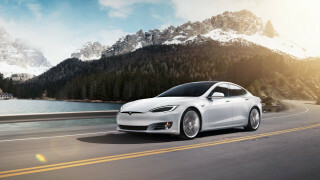 The Tesla Model S and less-expensive Model 3 can use their maker’s nationwide Supercharger fast-charging network for long-distance road trips with zero tailpipe emissions, while the Chevrolet Bolt EV is considerably less expensive than the Mirai and performs considerably better. The Mirai is a low-volume vehicle for Toyota, which sells as many Camrys in three days as it does Mirais in a year. Most U.S. drivers will never see one on the road, and that may not change in the near future. Today, and likely for years to come, the Mirai’s main challenge is the cost and complexity of establishing a network of hydrogen fueling stations. California, along with Toyota and Honda, is investing many millions of dollars in setting up that infrastructure. Until hydrogen fueling is pervasive and easily accessible in volume, a 2018 Toyota Mirai remains a somewhat risky bet on one company’s vision of zero-emission vehicle technology. 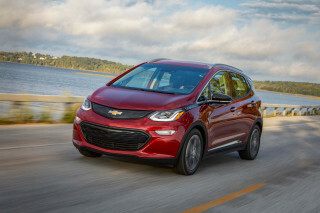 That vision ignores the reality of almost 1 million plug-in electric vehicles on U.S. roads, so wise shoppers may want to hedge their bets for a few years—or lease rather than buy. The 2018 Toyota Mirai may have the most unfortunate styling of any vehicle in showrooms today. Bits of the Mirai’s fastback shape appear to float over other bits, with a black-painted recess dividing the hood from the fenders and more shiny black on the rear pillars to give the roof a levitating appearance over the windows. Giant intakes at the lower front corners feed air to compressors, radiators, and electronics for the fuel-cell powertrain. Inside, the Mirai looks somewhat like a Prius that’s trying too hard to underscore its “This is the future!” theme. The dash has three individual displays, including a vertical tablet-like touchscreen in the center. The controls actually work well enough, but you have to learn their peculiarities and quirks. The Toyota Mirai’s hydrogen fuel-cell powertrain works fine, but the car is slow and doesn’t handle particularly well. The Mirai will accelerate decently from a stop to perhaps 30 mph, making it useful in city and suburban driving. 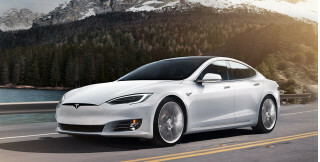 Because fuel cells like to operate at a steady output that doesn’t match the stop-and-go nature of much daily driving, a 1.6-kilowatt-hour nickel-metal-hydride hybrid battery pack gives short boosts of energy when hard acceleration is required. But performance starts to ebb above 35 mph, partly due to just 150 horsepower moving a vehicle that weighs more than 2 tons. The quoted 0-to-60-mph acceleration time is about 9 seconds, but even merging—let alone overtaking—at highway speeds demands careful pre-planning. Behind the wheel, the Mirai’s handling and roadholding are adequate but numb, similar to those of the first three generations of Toyota Prius. It’s just not a car that invites or rewards tossing it through curves on twisting roads. In fact, the Mirai reminded some older test drivers of the very first Prius, which came across as something of a science experiment. 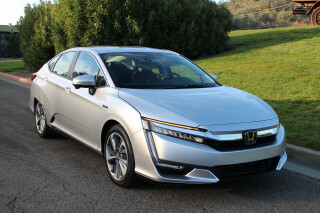 The Honda Clarity Fuel Cell shows that hydrogen power doesn’t have to feel that way. The 2018 Toyota Mirai is quiet, smooth, and relatively comfortable for four people. The seats are suitably comfortable, and the Mirai has enough window area to make the cabin light and pleasant. You won’t get a fifth person into the middle of the rear seat, because there’s a hard-plastic insert there, but the rear has adequate head, shoulder, and leg room for adults. Because the wheels are driven by an electric motor, the Mirai has none of the transmission shifting or vibrations found in gasoline cars. The one peculiar feature of the test cars we drove was a collection of background noises—whirring and vibration from compressors, pulsations from injectors, and on—that indicated it wasn’t a battery-powered vehicle. While the most noticeable sounds by far were the noise of tires on the road and wind rushing past the body, the Honda Clarity Fuel Cell had none of those other background noises. There’s decent storage for oddments in the cabin, as in all Toyotas, though the trunk volume is severely compromised by the hydrogen fuel tank between it and the rear seat. 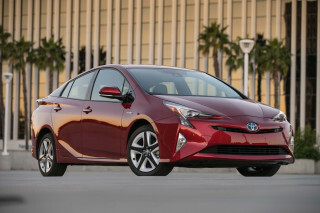 (Toyota doesn’t give a number, but it’s far smaller than the trunk of, say, a Camry mid-size sedan.) 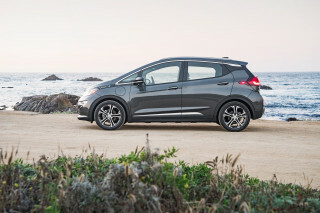 We also noticed a number of unconventional controls, from the drive lever (a la Prius) to peculiarities like an electric parking brake activated by a round pushbutton with the letter “P” on it—something that exists in no other U.S. model as far as we know. It’s all learnable, but it underscores the Mirai’s difference from more conventional vehicles, for good or for bad. The 2018 Toyota Mirai hasn’t been rated for crash safety. While the pair of storage tanks that hold its hydrogen fuel at pressures of up to 10,000 psi may be a source of worry, Toyota has conducted extensive simulations and safety testing to ensure the tanks won’t rupture even in severe crashes. The rest of the car around them may be destroyed, but the carbon-fiber-reinforced tanks themselves are likely to survive intact. A rearview camera is standard on the 2018 Mirai, as are lane-departure warnings, forward-collision warnings with automatic emergency braking, and adaptive cruise control. The 2018 Toyota Mirai doesn’t compete on features and options with other cars approaching $60,000. Every Mirai comes with power windows, door mirrors, and locks, but while the steering wheel and front seats are heated—to reduce the energy used for cabin heating—features like power adjustable front seats for both passengers are not. A premium audio system with built-in navigation is standard, as is the Toyota Entune suite of applications. Neither Android Auto nor Apple CarPlay is available at all. One unique Mirai feature, though it’s unlikely to be used by many (if any) owners, is a power-out socket in the trunk. It takes the DC current provided by the fuel cell when it’s running and converts it to AC that can power a home for a day or two. Unlike a gasoline generator, the Mirai can act as a stationary power source even in a closed garage, since its only emission is water vapor. The 2018 Toyota Mirai emits nothing but water, giving it our top green score. The Mirai’s 5 pounds of hydrogen, compressed at up to 10,000 psi, give it an EPA-rated range of 312 miles, though 250 miles may be a more real-world range for a variety of driving cases. 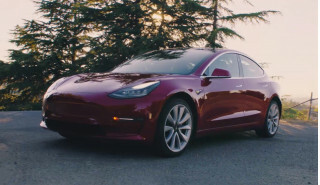 The EPA has not rated it for energy efficiency in Miles Per Gallon Equivalent, or MPGe, the distance a car can travel on the energy contained in 1 gallon of gasoline. Most hydrogen today in the U.S. is made from natural gas, a process that emits the climate-change gas carbon dioxide into the environment at the plant rather than from an individual vehicle’s engine. Still, a proper accounting of what’s called the “wells-to-wheels” carbon footprint of a hydrogen fuel-cell vehicle like the Mirai shows its emissions per mile to be lower than those of average gasoline cars sold today, even if they’re not as low as battery-electric vehicles. Hydrogen proponents suggest that in the future, hydrogen will be refined using renewable energy, just as electric-car batteries can be recharged from renewably generated electricity. Today, however, that’s far from the case. 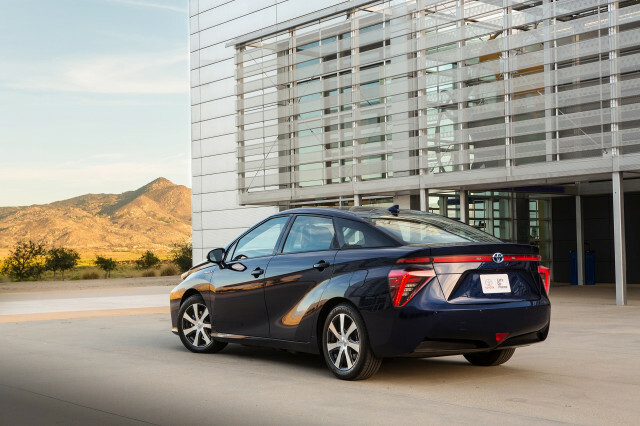 Toyota provides free hydrogen fueling for the 3-year term of a Mirai lease, or up to 36,000 miles of travel. The market price for hydrogen is still being established, but at the moment, it’s considerably more expensive per mile than is gasoline at $2.50 per gallon—hence Toyota’s subsidy.